It’s time to swipe through our mental rolodex of those people we are exchanging gifts with this year and search for just the perfect thing to give. If you’ve got a gardener, do-it-yourselfer, decorating aficionado, or cook in your life, you may be wondering what to buy them this year. We’ve got some great ideas below and keep in mind that although Christmas is right around the corner, these gifts can also be given to friends and loved ones who’ve recently moved into a new home or remodeled their old one. So let’s ho, ho, home and garden! If you have a flower-loving pal or loved one, give the gift of bulbs. Indoor bulbs can add a lot of color during the winter months – especially amaryllis with its gorgeous reds, pinks, and whites. A bulb set is also a nice “entry” gift for those you don’t know too well. 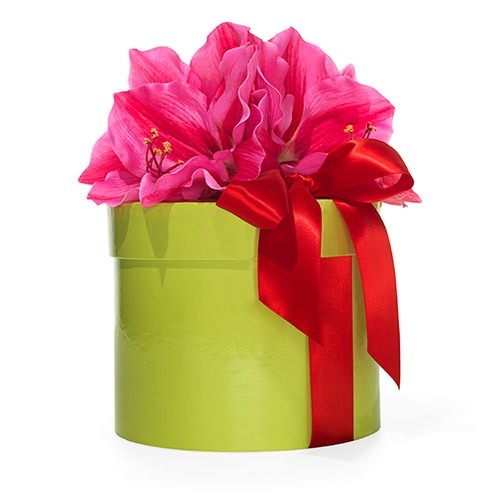 Of course, any flower lover would dig a gift this beautiful. 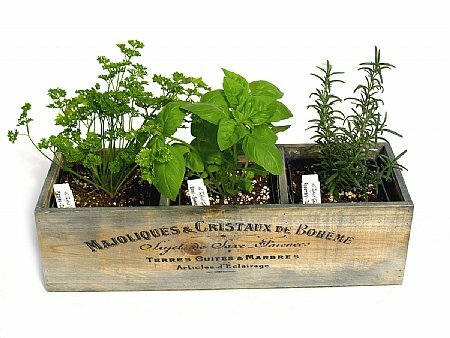 With the all the recent emphasis on home gardening and farm-to-table, an herb garden is a nice way to begin growing your own food – however small it is – and is a sweet gift for anyone who is a foodie, home gardener or health nut. 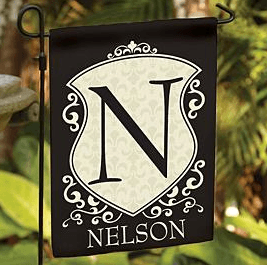 Your gift recipient can claim her garden as her own with this personalized garden flag. This one comes in an initial design, but there are many options out there, from including full names to photos. 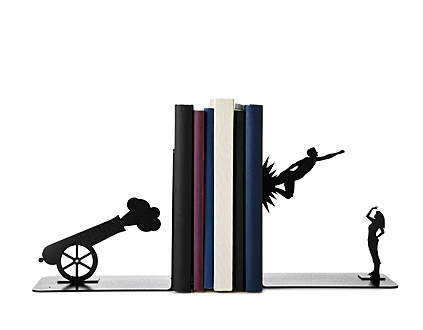 Give this gift to the hardworking gardeners in your life. 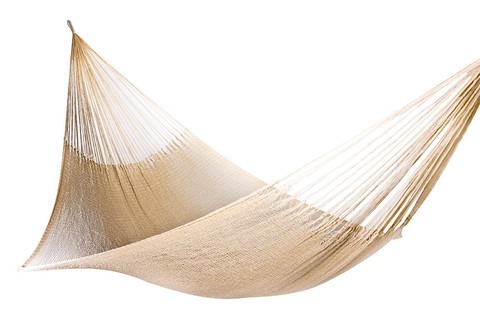 They can swing in the breeze while admiring the fruits of their labors. Know a Martha Stewarty type? 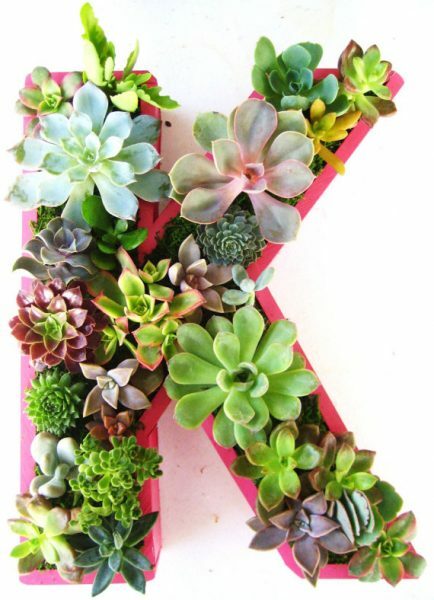 This chic planter box comes in initial shapes for the ultimate personalization. Every home needs a toolset and box. 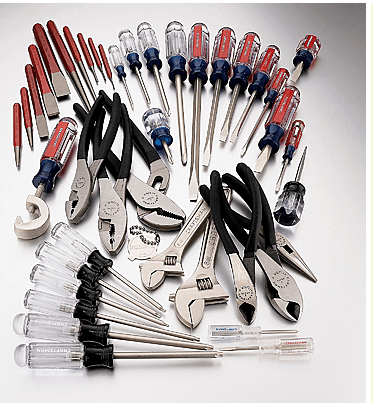 Handy people probably already have their own, but might want an upgrade or an in-home toolbox so they don’t have to run to the garage every time they need a hammer and nail. If you know someone who recently moved into a new home, a toolbox and gift card to a hardware store is a fabulous gift. Craftsman tools come with a lifetime warranty, which is a real plus for anyone who uses his tools often. Those DIYers are inside, then outside, then up on the roof – you never know what they’ll fix or make next. 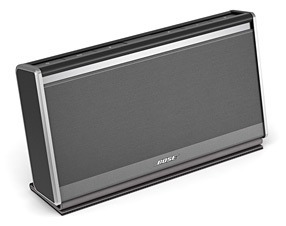 Gift them with a Bose box that can connect wirelessly to the music catalog, app or channel on smartphones, and best yet can be taken with the DIYer wherever they may go without worrying about cords. 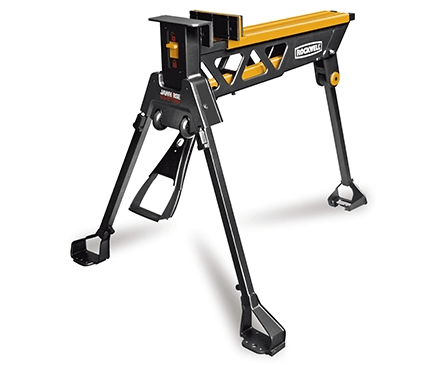 This particular workbench is a hands-free potable stand, saw horse, vice and clamp that collapses when not in use. It’s built to hold 4×8 plywood sheets and handles most household jobs easily. Are there ever enough cozy, warm blankets in a home? Throw blankets are the ultimate in comfort and a great way to pop some color into a room. If you don’t know the person’s decor very well, a neutral color is best, but if you’ve got a line of their taste and style, a new throw in a cool color or pattern might be just the ticket. 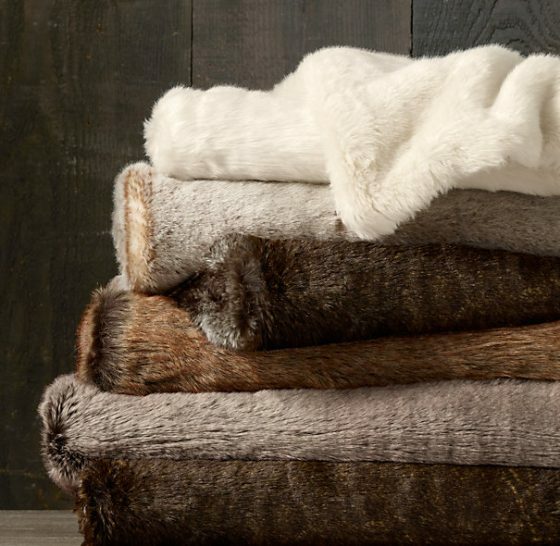 Restoration Hardware sells pretty – and comfortable throw blankets. Speaking of throws, pillows also add some nice contrast to a room and aren’t always something people buy for themselves. 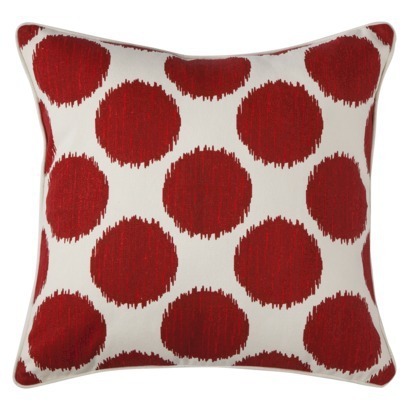 A nice red and silver pillow is a nice tough of the holiday or pick a spring colored pillow so your friend or family member can update their couch’s look with something seasonal. Target is a great place to find throw pillows. Speaking of things people never buy for themselves, accent pieces rank way up there. That’s where you come in. Find the cool, uncommon accessories most people don’t think to buy or can’t justify purchasing and give them as gifts. Z. Gallerie sells many unique pieces to grace a table or shelf, and so does Uncommon Goods. These beautiful pieces make any space special. Sold in all shapes and sizes, terrariums bring some natural beauty to a home and are a gorgeous, affordable gift. 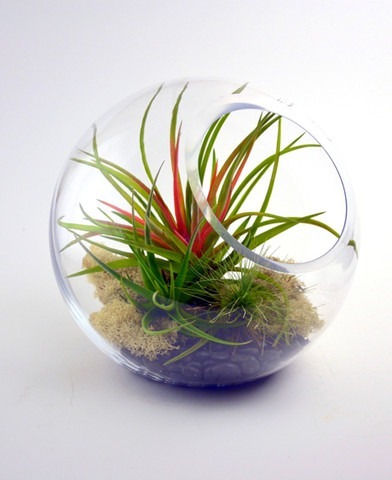 Buy a terrarium already assembled or everything someone needs to arrange one of her own. 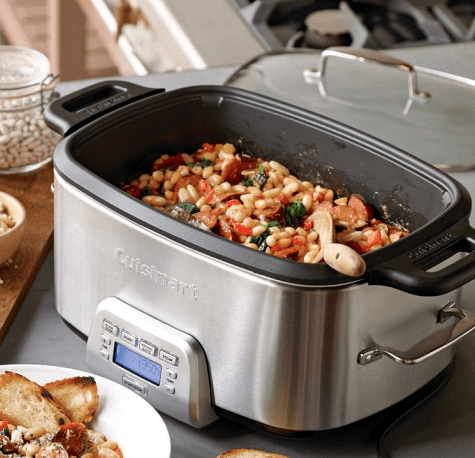 If you know a slow cooker aficionado, a multi-cooker that sears, sautés, roasts, slow cooks and steams all in one will be a sure-hit gift. A major time-saver, these multi-cookers are brilliant for crock pot cookers. 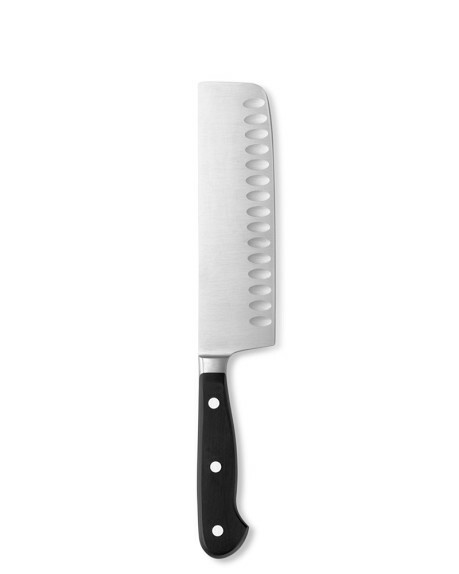 These are arguably among the best brand of chef’s knives you can buy. Because they are on the expensive side, not every cook buys one for themselves, but they sure would make a great gift if you are treating someone special. Bamboo cutting boards are not only beautiful, the wood is strong enough to resist knife scarring and water penetration. 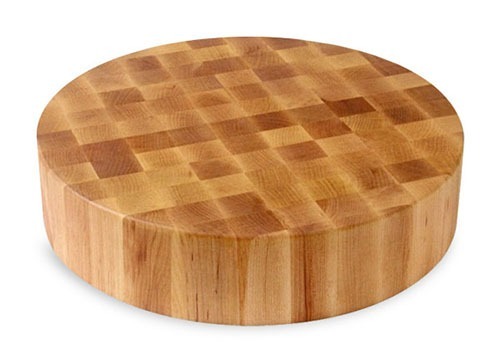 These cutting boards are a wonderful addition to any well stocked kitchen. 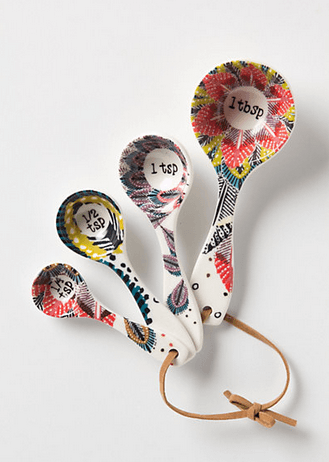 Filed under “stuff people don’t buy for themselves” are decorated measuring cups and spoons that combine form and function. 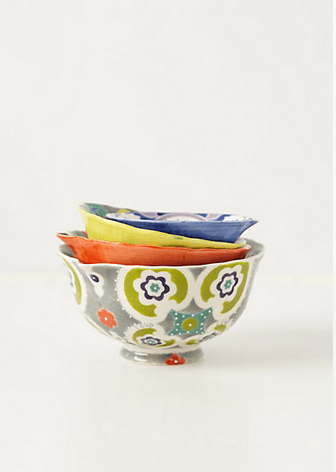 Gift your cook with lovely kitchen accessories like these and be a star in her eyes. There are a number of other things that people would probably love for their kitchen, but won’t buy on their own. 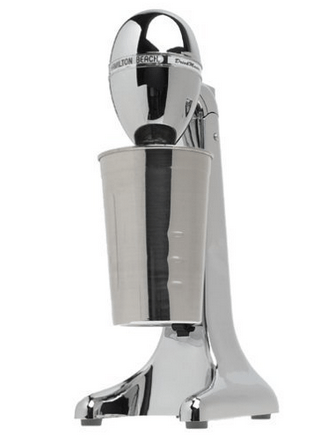 These items can include a stovetop popcorn popper, soda machine, vegetable mandolines, unique glassware or milkshake maker. The holidays are quite literally around the corner, and hopefully this guide gives you gift ideas if you’re stuck. Meanwhile, may your days be merry and bright with gifting, getting, and giving gratitude. What do you plan to give this year? What do you hope to get?